Last week on Monday Night Raw, the WWE announced its first recipient of the Warrior Award. This move was a surprise as there had been no rumors of the formation of the Warrior Award, let alone that it would be included in 2015’s WWE Hall of Fame Class. Last year at the Hall of Fame 2014 Ceremony, Warrior had a speech which was filled with both amazing and awfully strange moments. Warrior showed the “real” Ultimate Warrior, one who was saddened and betrayed by the WWE in 1992, (his second firing) and in 2005 (with the Self Destruction of the Ultimate Warrior DVD). After delving into the wrongs against him, Warrior stated that he indeed is a good guy. He then began to thank the behind the scenes men, the “superstars that make it happen.” Warrior stated that a position in the Hall of Fame be set up for all the backstage workers. He suggested a “Jimmy Miranda Award” in honor of the man who started the merchandise tables long ago. 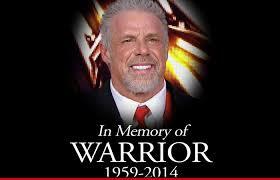 His speech was elegant in its own way and showed the WWE Universe the real character of James Helwig AKA Warrior. Two days after his speech, and one day after a frighteningly predictive promo on RAW, the Ultimate Warrior died at the young age of 54. It was a moment of sadness, marking the death of a second hero from the 1980s (Randy Savage was first). His death was unexpected, as Warrior was never a drug user or had a hard life wrestling story common of the stars of the Hulkamania Era. Warrior’s reunion with the WWE ended up becoming his last great move. Fans got closure and the WWE embraced both him and his family. After his tragic death, WWE honored Warrior’s new contract and continues today to help and support Warrior’s widow and children. Cut to 2015: The WWE decides to create the Warrior Award. While not the original Jimmy Miranda Award idea, the Warrior Award is logical. WWE focuses on their humanitarian efforts; promotes their Make a Wish record, their BE a STAR campaign and their Connor for the Cure foundation. It has become part of this corporate vision (as it is for many corporations in the US) and in a way fits, especially once you see how the WWE describes the Warrior Award. The Warrior Award is presented “to a person who exhibits unwavering strength and perseverance, and who lives life with the courage and compassion that embodies the late superstar’s indomitable spirit.” This award could be renamed the WWE Humantarian Award. 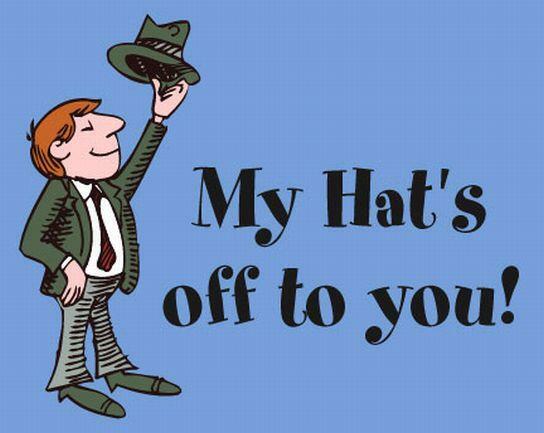 And now on to the first recipient. It is none other than Connor “The Crusher” Michalek. The overall consensus is that the Warrior Awards’ first honoree is both a deserving choice and welcome inductee. For those not in the know, Connor was an eight year old child featured heavily last year in the lead up to Wrestlemania 30. He was suffering from medulloblastoma, cancer of the brain and spine. After his diagnosis, Connor underwent brain surgery, several other intensive surgeries, nine full rounds of chemotherapy and six full weeks of spine and brain radiation. He died mid last year after 6 long years of the disease. WWE has to tread lightly here. There is a fine line between honoring a dead child and using said dead child for marketing purposes. Luckily, if the video above is any hint at their motives and how they will feature Connor, we are in the clear in this instance. I am happy for Connor’s family, who will be in attendance to accept the Award. Their son will forever be immortalized as a recipient of the Warrior Award at the WWE Hall of Fame. The only open question concerning the Warrior Award is this: Where do they go from here? You can’t go back Warrior’s original idea and honor the long time concessions guy at the 2016 Hall of Fame. Who is next? Does WWE make this a yearly award, finding a child battling a sickness? Do they comically heighten and go for two-year old who was torn apart by wolves? Bad jokes aside, it will be interesting to see where the WWE goes from here with this award. I predict that we will have one or two more Warrior Award recipients and then this will fade away. All and all, it is a good move for WWE. Connor now has a lasting legacy for his short life and will forever be immortalized in the WWE Hall of Fame. RIP. This entry was posted in Class of 2015, Opinion, WWE Hall of Fame and tagged class of 2015, warrior award. Bookmark the permalink.